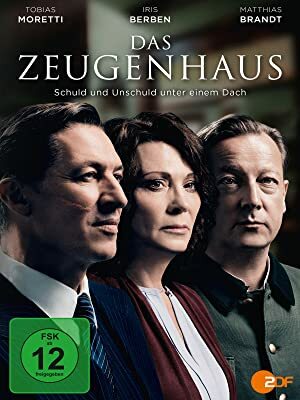 Das Zeugenhaus (2014) – What's New on Netflix Canada Today! Nuremberg, 1945. At the beginning of the war crimes trials, the Americans set up a guest house in a seized villa on the outskirts of the city. Here, former Nazi officials and close confidants of the defendants, as well as concentration camp survivors and regimental advocates, are awaiting their interrogation or testimony in the court. As the hostess, the dedicated Countess Belavar (Iris Berben), with firm house rules and cultivated conversation, is to create a cultured, harmonious atmosphere among the householders. At first the plan seems to be going up: one is arranging one another – and with the new time. However, with the first testimony in the Palace of Justice, more and more unspoken, unspeakable results from the past of the guests. To prepare for the Nuremberg trials, the U.S. military place both witnesses and defendants in a villa, then hire a countess to maintain the peace.